Searching for a great deal on Tow Truck Insurance in Middletown Ohio or any place in the Tristate area including Northern Kentucky? If so contact Pathway Insurance at 513-662-7000 to speak with one of our licensed agents Monday through Friday 9 AM to 5:30 PM. We offer competitive rates for brand-new tow companies and those in business for many years. Pathway Insurance is leading independent agency offering a highly competitive program for Tow Truck Insurance in Ohio, Indiana, Michigan, Illinois, Kentucky, Wisconsin, Minnesota, Colorado, Arizona, Alaska, New Mexico, Texas, Missouri, Alabama, Tennessee, Georgia, Florida, Virginia, and Maryland. We are one of the only companies open seven days per week for Tow Truck Insurance Quotes. If you find us on the weekend use our online system by clicking on Tow Truck Insurance Middletown Ohio and one of our licensed agents will get back with you up until 5:30 PM on the weekend. You will more reliably get a great deal on insurance only through an independent agency like Pathway Insurance. A few companies sell tow truck insurance direct, however, you need to keep in mind there isn’t a single insurance company that can offer the best rate for every circumstance and situation. If you’re a brand-new company few insurance companies will offer quotes. It’s for the simple reason you do not have a track record. While it’s true that new business ventures are formed on a daily basis across the United States for Tow Truck Companies, many insurance companies are looking for a historical record to see if you meet their underwriting guidelines. 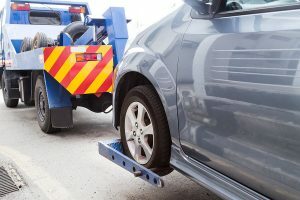 If you lack a historical track record, many companies selling Tow Truck Insurance in Ohio will avoid your company until you have at least one to three years of business experience with continuous insurance and no lapse in coverage. Tow Truck Insurance Middletown Ohio- Coverage for Startups and Well-Established Companies Available. Don’t worry if you are a brand-new start-up operation. We can help you find the coverage you need for your business. Call 513-662-7000 or click on Tow Truck Insurance Middletown and one of our licensed agents will call you as soon as possible. We are available up until 5:00 PM on the weekends.